Sunday morning coffee harvest today. I picked coffee from just one specific tree, a Garnica Arabica variety. 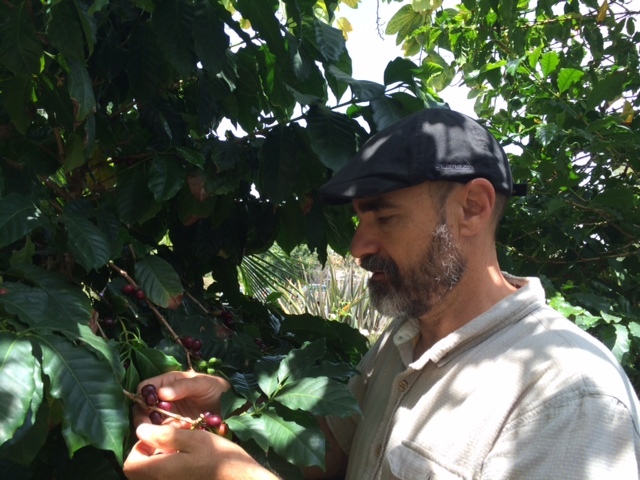 We have about 14 different Arabica varieties growing on our small Costa Mesa coffee farm. 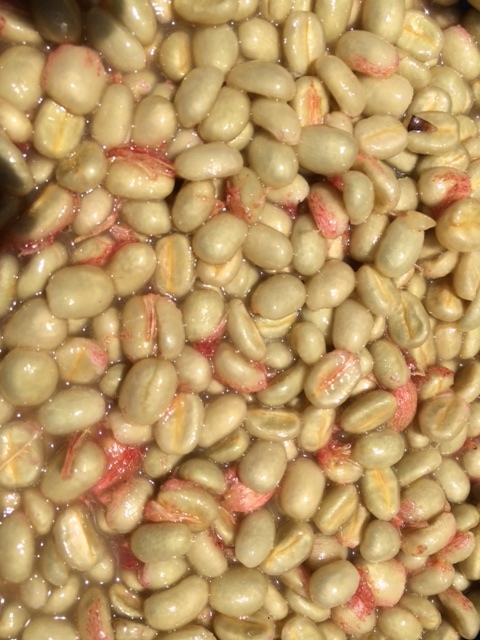 The Garnica tree was full of ripe, sweet fruit, of which the seed is the bean one makes coffee from. The Garnica variety is a hybrid that was developed in Jalapa, Veracruz, Mexico in the 1960’s. That region is now the only place it grows commercially. We are told it is a hybrid of Arabica varieties, Mundo Novo, and Caturra. 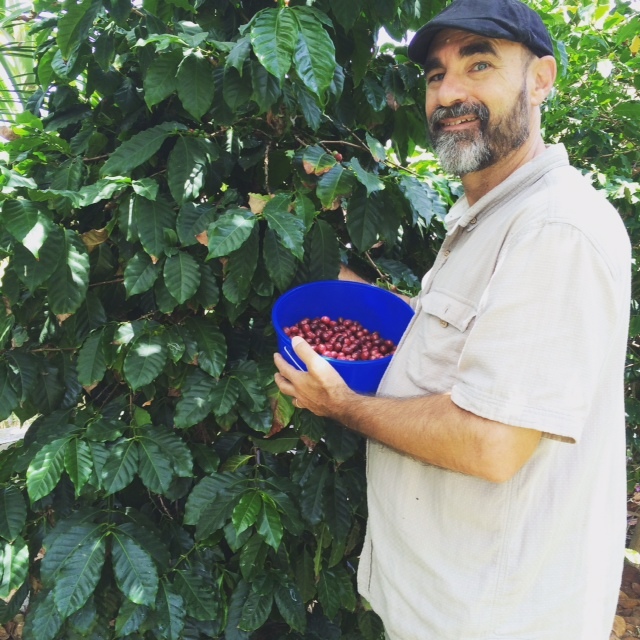 Its fruit is particularly sweet, which inspired me to do an isolation on it so that in about four to six weeks when it’s ready I can roast and cup the results to see exactly what the Garnica tastes like. The coffee needed to come off the tree anyway, because the tree is setting up for a massive flowering to produce next year’s crop. One wants to have the tree able to focus it’s energy on the next crop, not the previous. In the meantime, this morning’s three pound picking yield is now fermenting. In about 48 hours I will wash it, then sun dry it for a week. Another two weeks of resting, then it will be ready for roasting and cupping. More later……….. I have been all over your page the last few days. A friend of mine has really turned me on to “fresh” coffee. Not perspective beans that have been in a bag for months with chemicals. I ordered some coffee from you yesterday. I am really looking forward to this new adventure. I have done some research on different roasters and coffee’s, your name and website kept coming up. The site is excellent. Wow ! 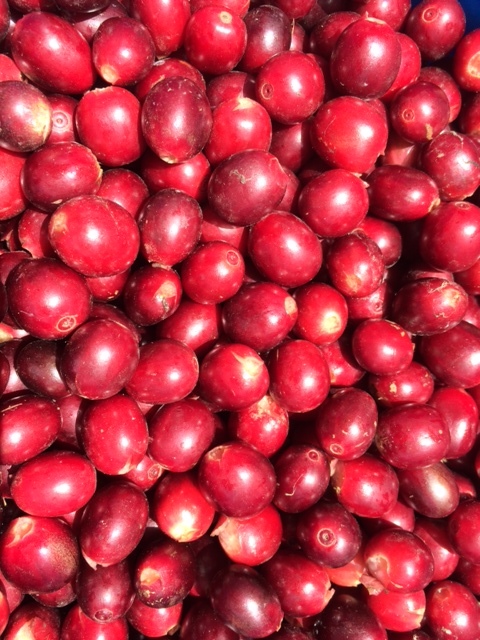 it is interesting to know that the coffee tree has sweet fruit too.